"I Just Canterlot" is a glamorous violet glitter. Once dried apply "I Just Canterlot". Showing 2 of our total 3 reviews, with an average rating of 5 stars. 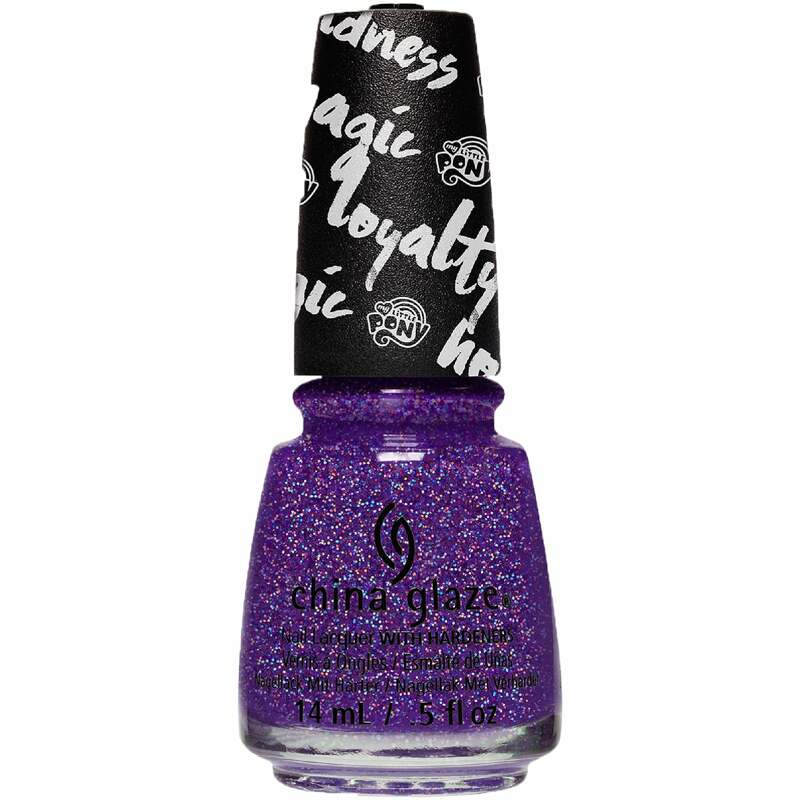 Read all 3 reviews for China Glaze My Little Pony 2017 Nail Polish Collection - I Just Canterlot (83991) 14ml. A fantastic nail lacquer, goes on easily & has so much glitter!! The colour is so rich after 2 coats, gorgeous. I used with OPI glitter off base coat to save scrubbing when it's time to be removed.